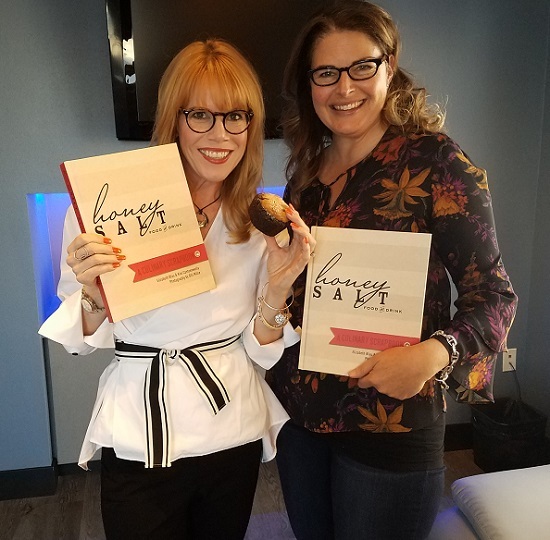 The Women’s Eye Radio host Stacey Gualandi talks to Culinary Queen Elizabeth Blau, about the recipes, cooking tips and personal stories found in her new cookbook, Honey Salt Food & Drink – A Culinary Scrapbook. Don’t miss a BRAND NEW interview on The Women’s Eye Radio with Stacey Gualandi as I talk with acclaimed restaurateur Elizabeth Blau about the recipes, cooking tips and personal stories found in her new cookbook, Honey Salt Food & Drink – A Culinary Scrapbook. As a Las Vegas resident who loves to make reservations, I have made Honey Salt a dining destination for me and my family. So having Blau – fresh from a Canadian cranberry bog – chat with me in studio AND share an (in)famous “brookie” (combo brownie/cookie) for my birthday was a rare treat. With talent – and good taste buds – Elizabeth Blau is now the queen of cuisine in Las Vegas. 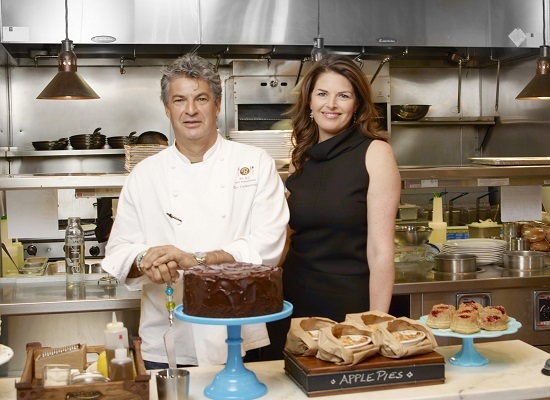 Together with her husband and masterful Chef Kim Canteenwalla, the James Beard nominees have made their mark on and off the Strip, and more recently in Vancouver, with several world class restaurants. But it was the opening of Honey Salt six years ago that sealed their epicurean empire. 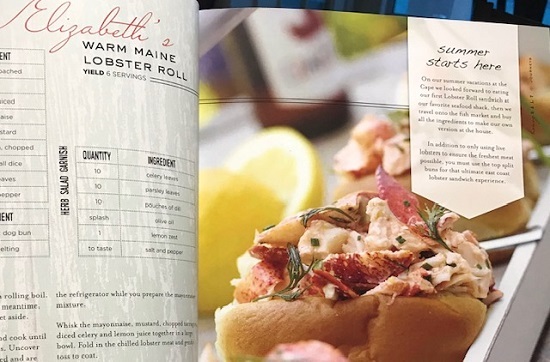 And now she and her husband are on a (lobster) roll with their first cookbook! For Blau, it’s about sharing special moments, reminiscing about adventures with friends all over the country, and preserving those for her young son Cole. Nowadays, there are numerous gifted female chefs and restaurateurs leveling the playing field in these male-dominated professions, but Elizabeth is certainly a standout. 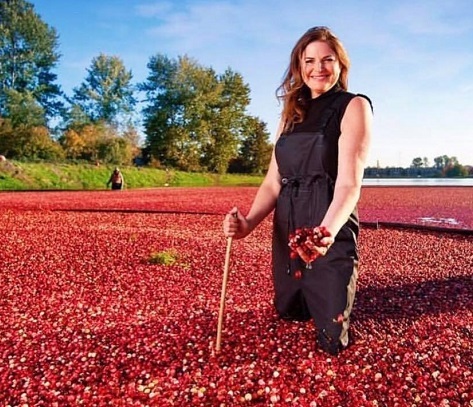 And not only has Blau paved her own successful path, but she has also become a role model for up-and-coming women hoping to follow in her foodie footsteps.